» Who is Victoria ??? 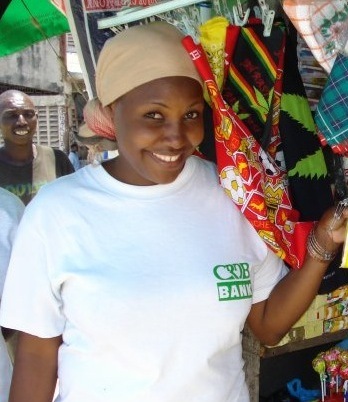 Pendo Luisi, 27 years old, borrowed $175 to open a cafe in Dar es Salaam, Tanzania. 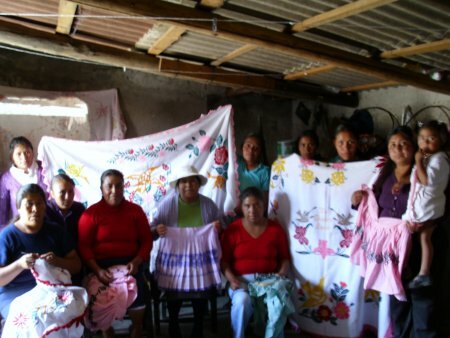 As of November 2009, Kiva has facilitated over $100 million in loans. It is my intention to set up a Home Made Life Paypal account and for one year, all donations made by members towards the running of the forum will be entered into a Kiva Loan account. I will keep the records on the public forum so we can all monitor the progress. I believe in and have promoted microfinancing for many years, I am especially delighted to have found Kiva and have the opportunity to support to the best of my ability. Re: Kiva - Loans that change lives. I would also like to encourage members, if it is within their means, to register. The minimum loan is $25 which isn't really that much to those of us in the West, but can mean a vast amount as a microloan to a person running or setting up a business in the developing world. Are these loans interest free? Kiva partners with existing microfinance institutions around the world (we call them Field Partners). These organizations that have expertise in microfinance and a mission to alleviate poverty facilitate Kiva loans on the ground. Our Field Partners know their local area and clients and do all the leg work required to get Kiva loans to the entrepreneurs posted on Kiva.org. Field Partners disburse loans as soon as they are needed. They can do this up to 30 days before the loan request is posted on Kiva's website or 30 days after (most choose to disburse funds before the loan request is posted). The Field Partner collects entrepreneur stories, pictures and loan details and uploads them to Kiva. Volunteer editors and translators review the loan requests and publish them to Kiva.org. Many Field Partners require mandatory savings as part of the loan cycle in order to ensure that borrowers represent a good lending risk and can build up cash reserves. Lenders browse loan requests and select which ones they'd like to fund. Lenders can fund as little as $25 and as much as the entire amount of the loan. To help streamline the loan transaction process, loan requests posted by the Field Partner are rounded up to the nearest $25 increment. Kiva aggregates funds from Kiva lenders and provides them to the Field Partner. The Field Partner uses the funds to replenish the loan they've already made to the entrepreneur. Kiva provides these funds on a schedule that accommodates the Field Partners' banking procedures. To minimize the expense and maximize the efficiency of money transfers, Kiva works on a net billing system. This means that, for any given month, we subtract the amount of Field Partner repayments from the amount of loans made by Kiva lenders. Kiva only asks our Field Partners to send payments for the difference and they have 30 days to send payment. If there is already money in the Field Partner's account, or once their payment is received, Kiva uses these funds to credit the appropriate lenders with their loan repayments. Lenders can re-lend their funds to another entrepreneur, donate their funds to Kiva (to cover operational expenses),or withdraw their funds via PayPal. They're a good idea for gifts as well. As a change from a goat or a book token. Do this already and didn't think to post Sorry, will go away and look hard at the other stuff I do in a similar vein and see if any can be shared on here if people want to join in. off to research links and get them together to post. The Paypal Donate button at the top left of forum links directly to donate funds into the Homemadelife Paypal account. There are no bank or Credit card accounts associated with this Paypal account and all funds donated will be used to participate in Kiva Micro finances. As the fund grows and I make decisions as to which individual or groups to lend to, I shall start a new thread detailing them and what they do. I will also make available, to anyone who asks, a screenshot of the Paypal accounts to ensure that all transactions are transparent. Thanks Badger, I've joined too. Sounds really good..
Hairyloon wrote: They're a good idea for gifts as well. As a change from a goat or a book token. If any HML member decides to make a donation to the HML Kiva fund as a gift for a loved one and would like to have a certificate of some kind to give in lieu, then please let me know via PM of the details and I shall sort something out. Just like to add that our Kiva account now has the $25 I transferred in today - with thanks to my wonderful and much loved and long suffering generous husband. Thank you for our newest donation - you know who you are and I thank you, money now transferred into our Kiva account. I will start researching for our first person/cooperative. Thank you for our 3rd donation of the day - thank you thank you again and again. Our Kiva account is building beautifully thanks to our lovely members. I would like our membership to have a look through the >>> list of people <<< requesting assistance and add their recommendations. I have read through so many and have been overwhelmed by each and every story and quite frankly want to help every single person listed. Remember that your donations are not used as charitable gifts but as loans to hard working people whose circumstance can be improved dramatically by small amounts of money. located in the state of Mexico, in Mexico. The group has 10 members. instalments and the embroidery she does is very creative and beautiful. motivate her to get ahead. of which there is an amply supply in the photo. The Kyrygyzstani ladies look okay to me. I have read through lots of the lists as well and wish I had more money to loan! I am leaning towards those groups and individuals who are agricultural or craft based. Unfortunately it seems that any loans made to people in Nicaragua or Pakistan may not be repaid, not though any fault of the individual, but from government interference in the schemes. If I think that there are any that particularly stand out, I would like to have a pros and cons discussion with the membership about making the loan, bearing in mind that we may not be repaid. It is heartbreaking the small amounts that people need, I wish I were rich enough to help more. We have made our first loan to the Ladies in Kyrgyzstan. Hurrah! is it not amazing how such a small ish sum of money can feel so good! puts it in perspective really, doesn't it. Compostwoman wrote: Hurrah! is it not amazing how such a small ish sum of money can feel so good!.
" GIVE ME YOUR ---KING MONEY, NOW!!!" We can't solve ALL of the problems in the world but we CAN help to solve some of them. I am as a rule, but its a bit upsetting to see so many people who need help and having to choose one over another. » Age idéal au départ selon vous ?